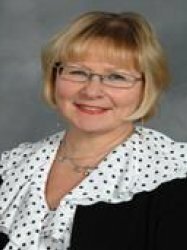 Marjo-Riitta Järvelin, MD, MSc, PhD, FFPM, is Professor and Chair in Lifecourse Epidemiology at Imperial College London (IC), UK (since 2002), also holding a visiting professorship at Brunel University London, UK and a part-time professorship at the University of Oulu, Finland. She is honorary consultant for Imperial College Healthcare NHS Trust, UK. She has been running large-scale population based studies for over 25 years, working on the genetic and early life environmental origins of multi-factorial diseases and disorders, in close collaboration with many international institutions, groups and networks. She is a Scientific Director of the Northern Finland Birth Cohort (NFBC) research programme (about 20 000 subjects, born in 1966 and 1985-86 and their 35,000 parents), and has an active role in research training as Director of Postgraduate Studies at School of Public Health, IC. Professor Jarvelin has published over 700 original papers and supervised 29 PhD students until completion and many other postgraduate theses. She has received funding from MRC UK, Welcome Trust UK, ESRC UK, the EU (FP5, FP7 and Horizon 2020), NIH USA and Academy of Finland among others. She has been nominated on several prestigious visiting and collaboration awards for e.g. China, Russia, Korea, USA, UK and New Zealand. In 2007-8, she received an award of Excellence in Genetic Epidemiology at Imperial College London. In 2012, she was honoured by the title, Epidemiologist of the Year in Finland and in 2013 was invited to join, as a member, the Finnish Academy of Sciences. Professor Jarvelin is the coordinator of the European Horizon 2020 funded research project, DynaHEALTH (European Union’s Horizon 2020 research and innovation programme under grant agreement No 633595) focused on healthy and active ageing through reducing the risks of obesity and type 2 diabetes, and promoting social functioning and workability.